Connecting the World: Need money? Create some. In prior posts I’ve written about the challenge of collecting currency that you can’t use at home. Not once did I think about not having currency either paper bills or coins available. Springwise (Springwise.com) spots new business ideas around the world. 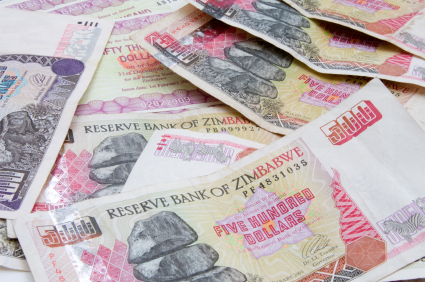 They found the problem, a an unusual solution in Zimbabwe, a country with multiple currencies. Due to crushing inflation the Zimbabwe dollar was abandoned in 2009. Since then the US dollar, British pound sterling and the South African rand are all accepted as legal currency. While there bills for each are available, the stock of coins is limited. As a result when a customers total bill at the supermarket isn’t an even amount, obtaining change is challenging. The store can’t easily make change. To solve the problem there are generally two choices. Shoppers can buy something else to even the total or accept a credit to be used in that store. However, Springwise found a company with another solution. Yo Time. Companies can now contract with Yo Time which will offer customers the missing change – in the form of minutes sent to their mobile phones. A creative solution to an unusual problem. What else will we find as we travel the world? Where should we put the desks?